Close your eyes and think about a warm, sunny day and the ability to lie back and relax with your soul mate by your side. This thought gets even better when you imagine doing this on a comfortable two-person hammock. They are easy to set up and are a comfortable and relaxing way to be by your other half’s side. In our review, we will highlight five of the best two-person hammocks and explain all their top features, so you can choose the one that is just right for you and your loved one. This double hammock is ideal for couples who want to relax either indoors or outdoors, as it can be used in both. It is also very easy to set up and move between locations. Most people imagine hammocks strung between two palm trees on a desert island, however, they can be used in a lot more locations than that. This two-person hammock is suitable for use indoors and outdoors, whether that is in your garden, local park, or anywhere where you have two fixed structures to attach either end of the hammock to. It is made from durable polyester and cotton fabric so will it will easily last for a very long time plus it can hold up to 450 lbs., so both of you can cuddle up together knowing that there is no danger of falling through. The hammock comes with a carry bag which means you can carry it anywhere you wish to use it, and it also comes with the hanging ropes you need to attach it. There is a choice of two very colorful designs. 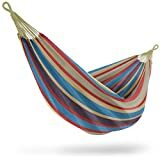 An excellent two-person hammock which comes with a choice of colors, adjustable straps, and it is has a great price, which provides excellent value for money. This two-person hammock can be attached to trees, posts and even walls using the supplied solid steel carabiners and ropes. Once it is in place the straps can be adjusted so that it is at the perfect height to provide the best comfort for you and your partner. The main material used is parachute-type nylon making it very durable. The weight capacity of this two-person hammock is 440 lbs. which should be more than enough for two people to comfortably lie in the hammock. The durability of the hammock is further enhanced by triple interlocking stitching which provides strength in all the places that it is required, such as where the straps are attached. 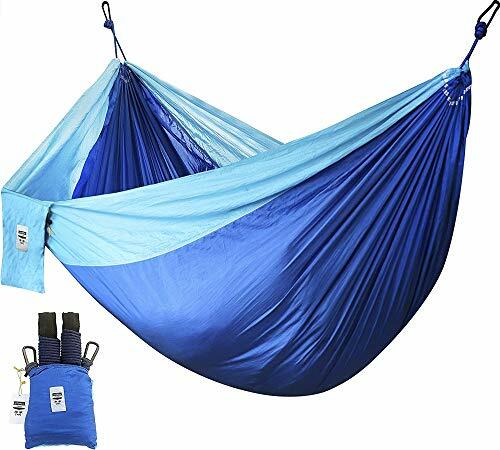 The hammock comes with a storage/carry bag which makes it ideal for backpacking and camping. You also have a choice of four different colors: dark blue, orange, black and light blue. Should you wish to clean the hammock it can be hand washed in lukewarm water. The MoMo outdoors double hammock can be set up in around 2 minutes and gives both users a very comfortable way to relax outdoors. One of the biggest concerns people have in relation to hammocks is that they are difficult to set up. Unfortunately, there are some hammocks which are, however, this one could not be easier. It can be hung between two trees, posts or masts, and can even be strung between two rocks. Within 2 minutes, using the strong aluminum carabiners, and the adjustable straps, you can have your hammock ready to be used. The main material is nylon with a strength which is equivalent to that used for parachutes. This should give you some idea of its durability. It can hold a combined weight of 450 lbs., so both of you can relax in comfort and safety, in the knowledge that the hammock is secure. 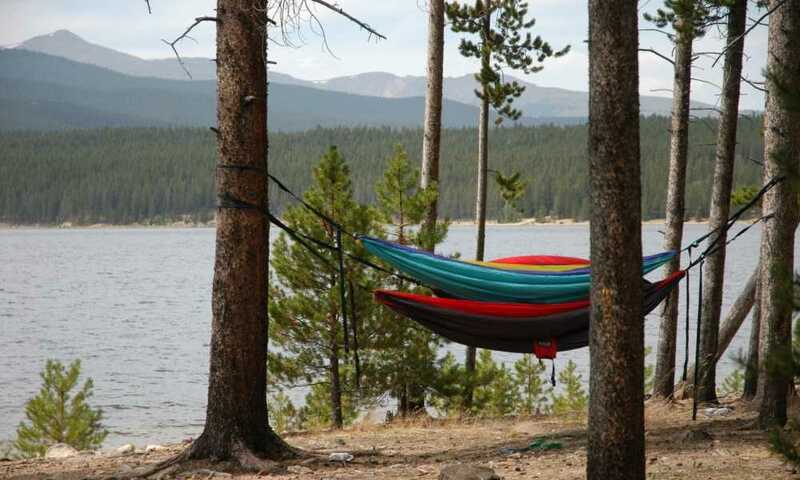 Other features which add to the stability of the hammock is stitching in the straps which is 6-fold and has a greater strength than ropes which many inferior hammocks utilize. The hammock is versatile as it can be used as a mat, so you can lie or sit on the ground if you wish, plus it can be used as a shelter. This includes sheltering when it is raining thanks to the waterproof nature of the material. EVERYTHING YOU NEED IS IN THE BAG: Know your options before spending even a single dollar on such essential travel gear. MoMo Outdoors Hammock is a complete kit that contains everything you need to set up your hammock easily. 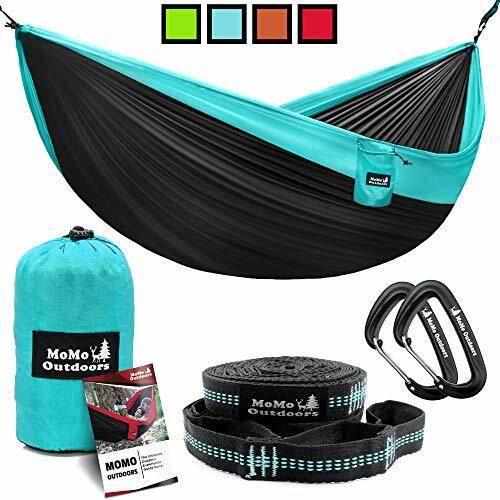 The package includes the hammock, premium friendly tree straps (9 FT, 13 loops), heavy duty aluminum carabiners and step by step instructions guide booklet. SET IT UP IN 2 MINUTES: Save yourself the time and aggravation of ropes and cheap carabiners to set up your hammock. Pack this hammock in your backpack and you can forget about all that hassle! With MoMo Outdoors Hammock all you'll need are two trees or poles to set up your hammock in a jiffy! Wrap and tighten the straps around the trees, connect your hammock with the carabiners to the loops that serves your needs and you are ready to swing away in nature's arms! THIS HAMMOCK IS PERFECT FOR TWO! The hammock is 118 inches long and 78 inches wide: large enough for two adults or 3-4 kids. The 210T Ripstop nylon fabric is so durable and trustworthy, that it is even used for skydiving parachutes! Swing away in your hammock without worrying about crashing to the ground, as this hammock holds up to 450 lbs! PORTABLE, LIGHTWEIGHT AND COMPACT: You can take it anywhere. This waterproof accessory weighs only 2 lbs! 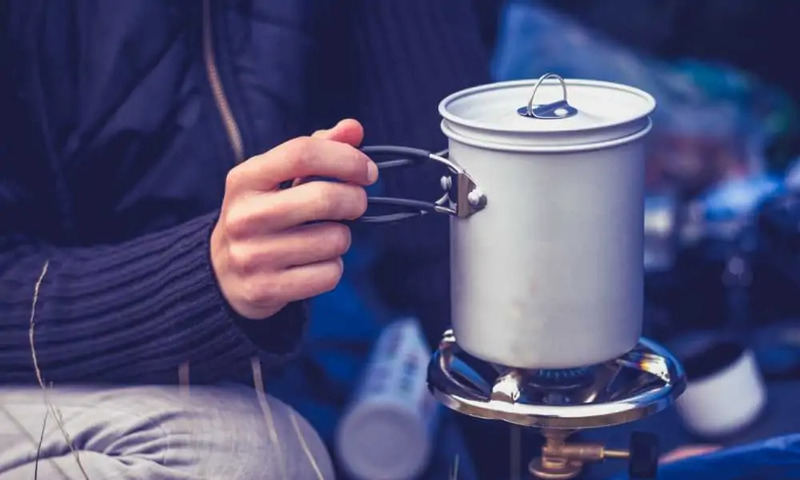 Pack it up into the compact compression stuff sack (5x5x9 inch) for maximum portability and take it along to a festivals, sports event, the beach, camp sites and parks or simply use it in your own backyard. GREAT GIFT AND 100% SATISFACTION GUARANTEE: Adults, kids, women, men, couples - all say they LOVE IT! 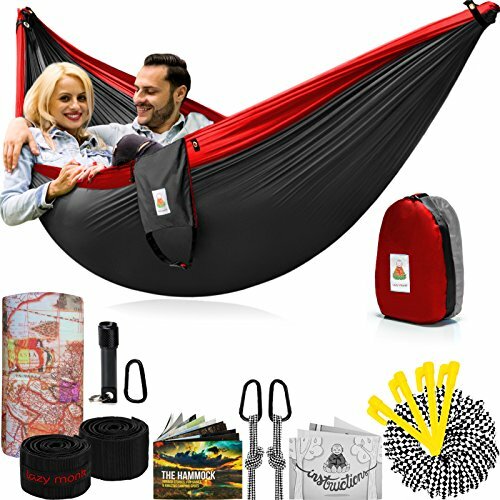 This cool packable hammock bundle is a great present for tent campers, hikers, backpackers, beach & camp sites visitors or for people who can just hanging and relaxing on it indoor inside their own patio, yard or garden. It makes a useful gift for mom, dad, sister, brother, daughter or any other person in your life. To ensure satisfaction we offer a 100% money back guarantee, no questions asked. The Lazy Monk Portable Camping Hammock has everything you need not only to set up and use it, but it comes with additional accessories which enhance your enjoyment in using it. If ever a two-person hammock could be called a complete package, then this Lazy Monk hammock certainly qualifies. This is more of a hammock ‘kit’ given all the extras that are included. 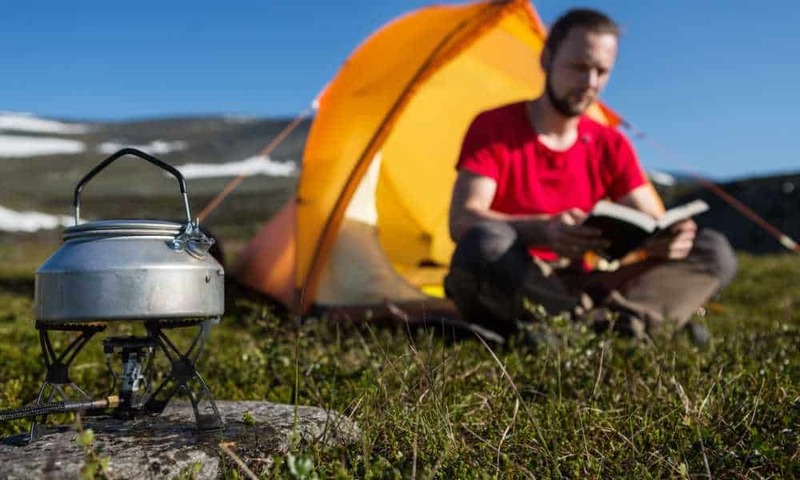 Apart from the expected storage/carry bag, which is waterproof, it also comes with a portable LED lantern, and a booklet highlighting all the very best camping grounds in the USA. 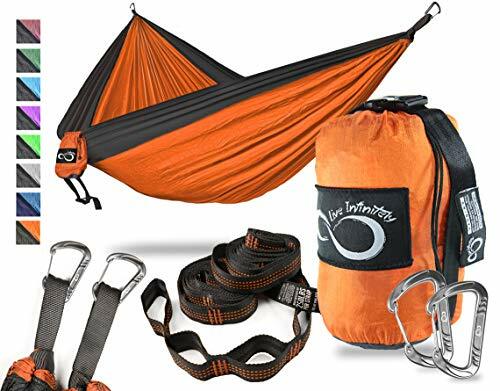 The other equipment supplied for attaching your hammock, includes 2 tree-friendly straps, 2 ropes, 3 carabiners, and 4 hammock pins. Naturally, there is a full instruction booklet, which also has tips and tricks that help make setting up and using your hammock more enjoyable. Parachute-grade nylon has been used as the main material of this hammock, so not only will it feel very comfortable, it is also extremely durable. It can hold a weight of up to 500 lbs. which exceeds what the majority of similar two-person hammocks can withstand. This hammock is also very versatile and could be described as 5 products instead of one. It can be used as a make-shift tent, a wind trap, a porch or even a rain fly if the heavens open. ️READY TO USE HAMMOCK: The Portable Hammock Camping Gear bundle includes: 1 Rainproof Nylon Double Hammock, 2 +1 strong Carabiners, 2 tree friendly Straps, 2+1 5 METERS Nautical Grade Ropes for set up tricks, a WATERPROOF tree sack, 4 Yellow ABS BPA Free Hammock pins, the Hammock Tips & Tricks & Installing Hard Copies + Digital Guidebook for the ULTIMATE adventure & the Multifunctional bandana! ️TOP VALUE FOR $: 2 Person Hammock at 300*200cm (118*78 inch) Waterproof & Windproof GUARANTEED, carries up to 500 LBS made from HEAVY DUTY, Triple Stitching, SUPER Strong Breathable Woven 210T Rip Stop Parachute Nylon, Tough Nautical Grade ropes + Extra 5m for setup VARIETIES with Stainless Steel Stealth Carabiners that will never pinch the rope. ️LIKE NO OTHER HAMMOCKS YOU'VE SEEN BEFORE: This two person hammock right here is the ONE you WANT! Unlike other camping hammocks, this lightweight hammock comes with ALL travel ACCESSORIES to quickly change shape! Engineering MASTERPIECE, 4in1 Versatile, Never done BEFORE: Hammock, Tent, Tarp & Beach blanket! ️AMAZING GIFT for nature lovers: There is no better place to RELAX than the outdoors. Let the COMFORTABLE Camping Hammock welcome you and savor peace and quiet! No more noisy streets, dusty air or the hustle & bustle of the city! 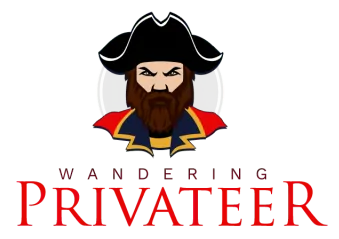 Start the adventure RIGHT NOW. It is not only safe, but it also LOOKS AMAZING, exactly as any GIFT should! PERFECT Gifts for long lasting friendships. Who would you buy it for? ️ Tree Hammock because we TRUST the QUALITY of our products. If something ever happens with your Hammock, WE WILL CHANGE IT immediately without any costs or efforts from your side. RESISTANT military stitched straps for PERFECT fabric stretching, Parachute NYLON, TOP Accessories & a 5 year WARRANTY, what could possibly go wrong? The is a great hammock for those who go backpacking, thanks to its ability to be compressed down inside its carry pouch, which can then be attached to rucksacks. This is another two-person hammock which comes with everything you need to enjoy it. It is easy to set up and once this is done, the hammock has a length of 9 ft.10 in. and a width of 6 ft. 6 in. This gives you, and the person sharing the hammock with you, a large and comfortable area upon which you can lie back and relax. While these are large dimensions when the hammock is in use, the opposite is true when it is stored. it can be compressed down so that it fits in an 8 inch by 4.5 inch bag, therefore allowing you to attach it to your backpack for easy transit. The hammock’s material is nylon, but it is not just any kind of nylon; it is parachute-grade nylon which gives you the reassurance that it can take the weight of you and your partner, up to a combined 500 lbs. It will also not be prone to tears and rips which less robust materials might be. If you like choice then you’ll be pleased to know that you can choose from eight different colors which include purple, green and blue. Huge But Compact - At 9' 10" long by 6' 6" wide this is the premier double hammock on the market! But when it's not in use it compresses back into the attached gear pouch and measure 4.5"x 4.5"x 8" INCLUDING the 2 tree straps. If that is not small enough, no problem, just pull the compression strap tight and make it fit in any backpack or hiking bag so it's perfect for travel! Peace Of Mind - Every purchase is backed with a 100% Satisfaction Guarantee & 1 Year Unlimited Coverage No Hassle Warranty! If you're not thrilled, simply contact our reliable customer service team and know you will receive unmatched personal assistance. There are not many products we get to review by simply lying back and chilling, but these two-person hammocks let us do just that. They are all great products, and every one of them provides a safe and relaxing way for two people to relax in comfort, especially when outdoors in the fresh air and sunshine. As with all our reviews, we must choose our top choice and for us, and the clear winner is the Lazy Monk Portable Camping Hammock. The reason it is the best two-person camping hammock is a combination of the ease with which it can be set up, the quality of the materials used to make it, and the durability of the straps and carabiners used to secure it. 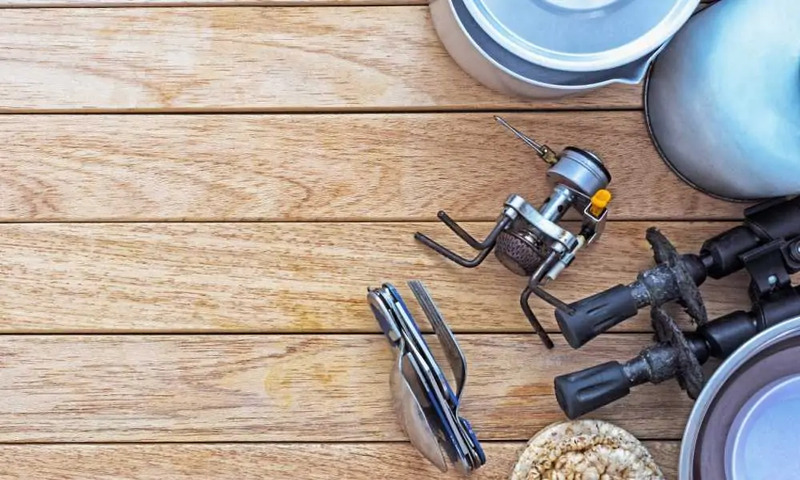 Its versatility enables it to be used for at least four other purposes, and it comes with some great extras to enhance your enjoyment. One important last point is that it is priced very competitively which makes it great value for the money.